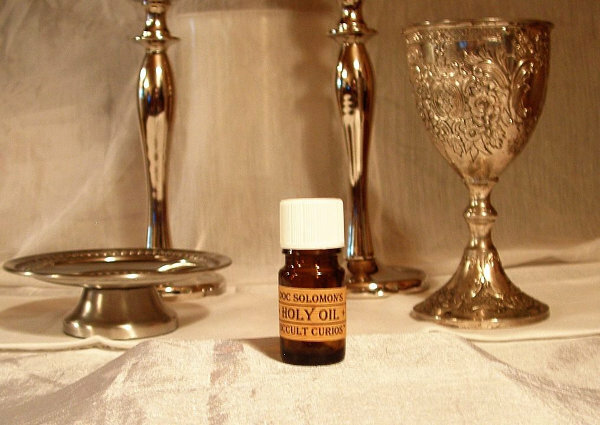 Holy Oil is used in mystical and religious traditions around the world for blessing, exorcism and healing. It can be used to consecrate tools, robes, furnishings, talismans and (of course) yourself or others. It can also be used to bless and seal the doorways and windows of one’s house, protecting the home against harmful spirits. 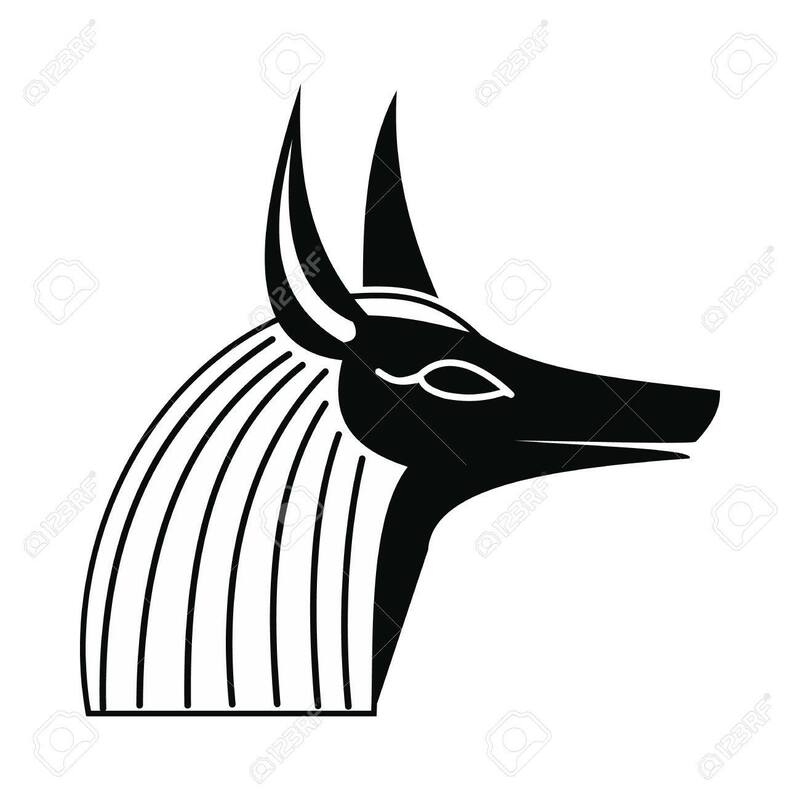 Furthermore, charged oils made from plants and perfumes sacred to specific forces, angels, spirits, and deities can be used to impart their attributes onto the persons or objects anointed with them. Abramelin Holy Oil is a very powerful anointing oil, based directly upon the Holy Anointing Oil described in Exodus 30, and adapted into the Book of Abramelin. 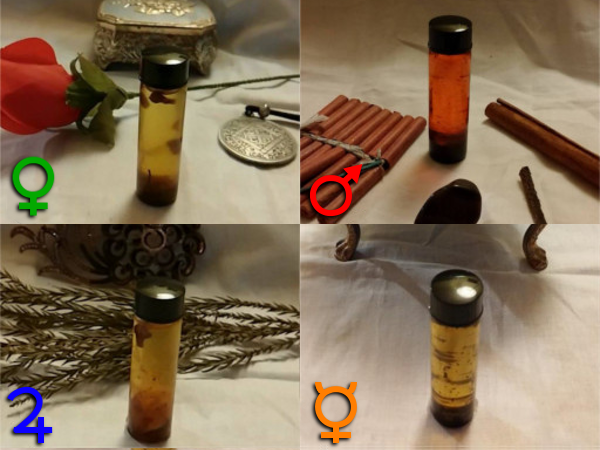 Doc Solomon’s is proud to announce the addition of magical oils made by Anubeion Creations to our catalog! Magical oils are used in a wide variety of traditions for many purposes, limited only by the imagination. 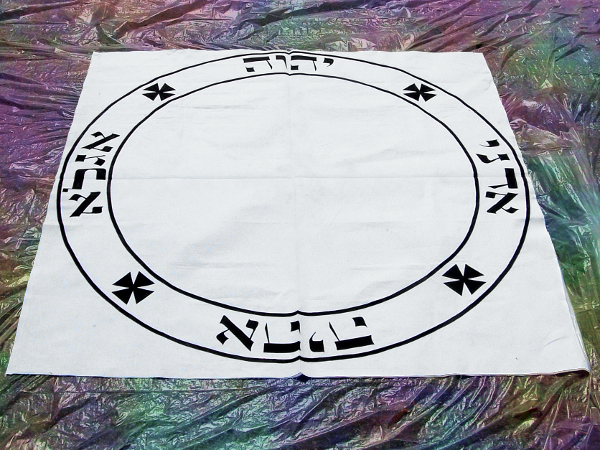 Common uses are for anointing, blessing, consecrations, and as augmentation of other magical works such as gris gris, charms, talismans, and in candle magic. These oils can also be used in devotional work with the Gods, to care for Deity and Saints’ statues, ritual work, spell casting, evocation, exorcism, hex breaking, divination, hoodoo and conjure, and much more. These oils require magically timed preparation during a Waxing Moon, on the corresponding day and hour of the planet (if applicable). Ingredients generally include herbs, essential oils, and a carrier oil as a base; but can also include items that suit the purpose of the blend (bones, feathers, stones, etc). Laurie uses the best available essential oils and herbs, sourced locally or from small businesses that use organic growing techniques, and no petroleum based solvents. 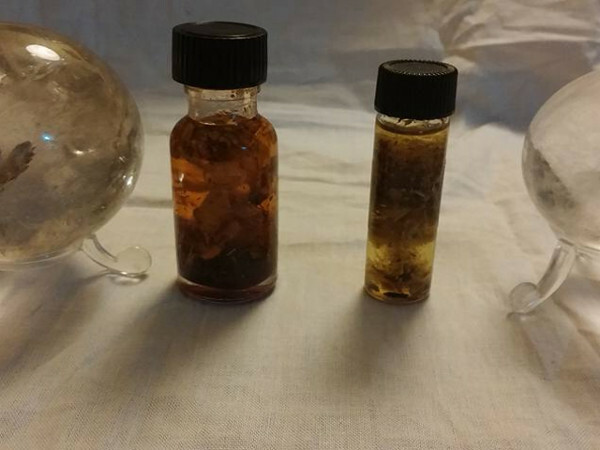 Planetary Oils can be used to care for spirit statues and as a devotional tool when working with spirits, as well as having a role in ritual work, planetary magic, angelic magic, evocation, and just about any purpose designated by the practitioner. 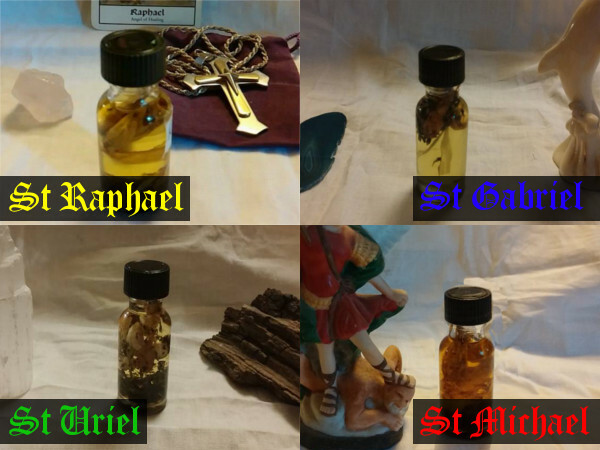 These oils can also be used to care for Angel or Spirit statues and as a devotional tool when working with the Archangels, as well as having a role in ritual work, planetary magic, angelic magic, chthonic magic, evocation, and just about any purpose designated by the practitioner. 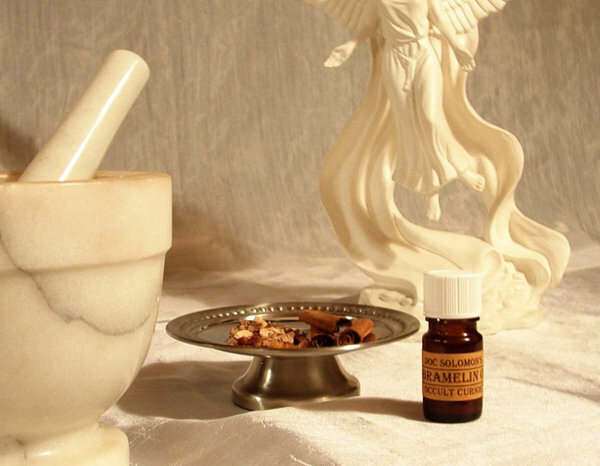 Deity Oils require ingredients sacred to the God. Magical Timing, Feast Days, and/or Holy Days associated with the Deity are observed where possible/applicable. 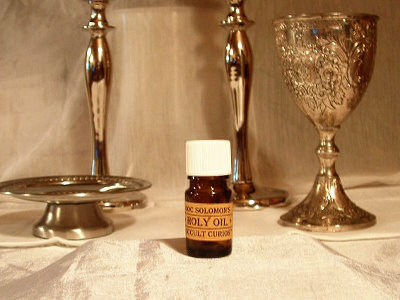 Power Oils are used in conjure traditions for specific spells and magical effects, anointing candles, talismans, satchets, and of course yourself or a spell target. 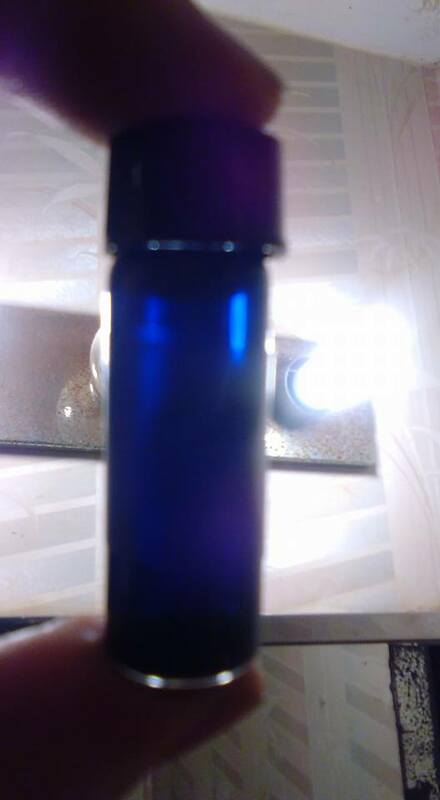 Flying oils are very powerful aids for increasing psychic vision, summoning spirits, and even leaving the body to fly through the spiritual realms. Such oils and ointments were used primarily (but not exclusively) for goetia and the summoning of chthonic (underworld) beings. Please Contact us for further information.